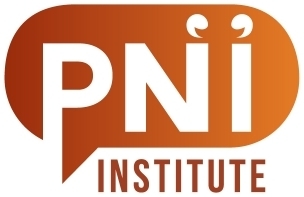 The membership structure of the PNI Institute is based on experience and participation. Anyone with an interest in PNI is cordially invited to register as a basic member. Basic members can comment on blog posts and participate in our monthly teleconferences. If your work is related to PNI, we invite you to consider an associate membership. Associate members are listed on the web site and are asked to write a short blog post on joining, and they are asked to participate in our monthly calls when they can. To apply for associate membership, contact us to schedule a brief presentation on your work. If you are actively engaged in doing PNI projects, we invite you to consider a practising membership. Practising members are listed on the web site, usually participate in our monthly teleconferences, and often write occasionally on the pni2.org blog. To apply, contact us to schedule a brief presentation on a PNI project you have carried out. A curating member must have a solid track record in developing PNI theory and practice. Additional curating members may be asked to join by the current curating members, or they can be suggested to the curating members. The current curating members helped to start the PNI Institute. These members are Cynthia Kurtz and Harold van Garderen. What can you get out of membership in the PNI Institute? As a forum member, you will get lively discussion and a hearty exchange of ideas. As an associate or practicing member, you will get all this, plus the opportunity to advertise your own web presence on our members page and to describe your ideas to the world in blog posts.